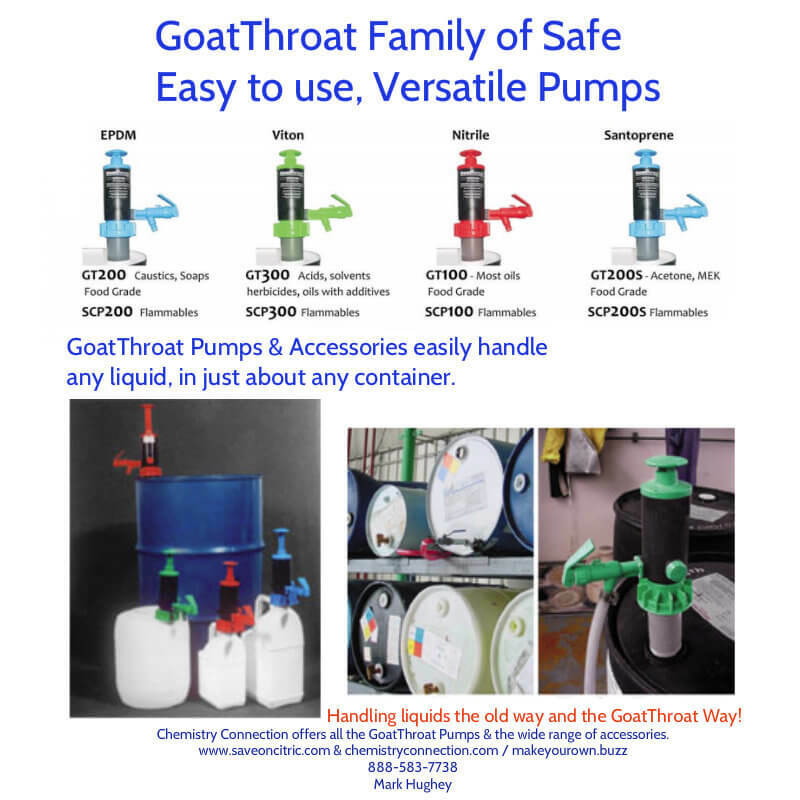 GoatThroat Pumps, the very best pumps, easy to use, versatile and a great way to improve handling of all of your liquids. Whether you use vegetable oils, surfactants, or specialty bases, if you are pumping liquids, you will want to take a look at the GoatThroat family of pumps. 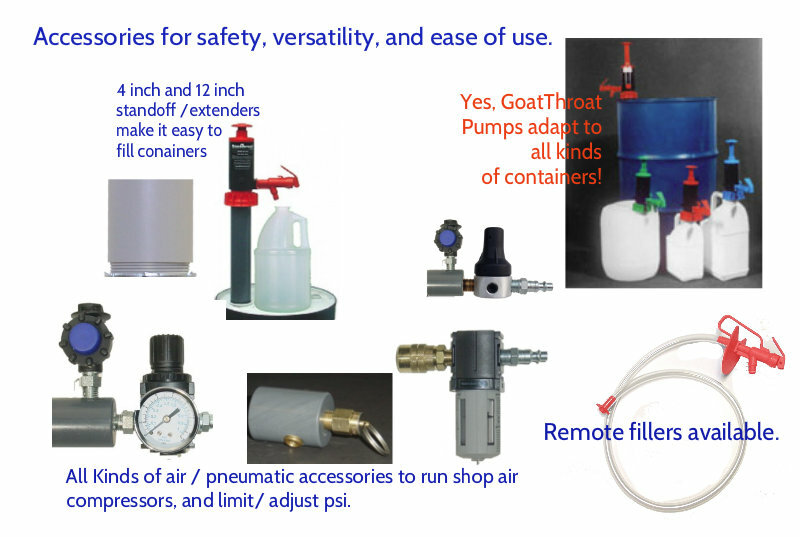 Versatile, easy to use, and most importantly, GoatThroat Pumps are designed with safety in minds. Check out the broad selection of easy to use accessories that make the t pumps a great way to start a handling system for all of your liquids.